Join us for the First Official Vancouver @syscoin #Meetup! #Drinks & #Canapés will be served along with music & great conversations. 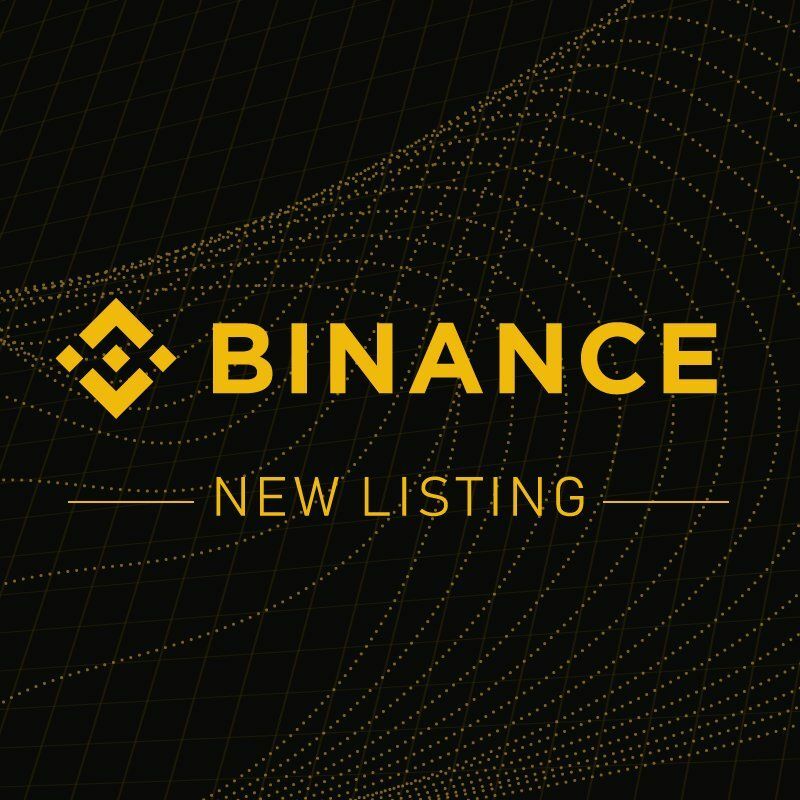 Sponsored by #Blockchain Foundry Inc. (@BlockFoundry)! Check out this short bio about one of #Blockchain Foundry's newest Full Stack Developer: Andrés Cortés Zaldíva. Andres is already experienced developing on the Syscoin Platform having created two proof-of-concept projects. He has over 5 years experience in web, mobile, and desktop applications with a highly recognised company in spain. Did you know? #Blockchain Foundry (@BlockFoundry) has been expanding! Nicholas started his career at Deloitte in the Audit & Assurance group where he earned his CA. He then worked in financial reporting at Labatt Breweries of Canada. After Labatt, he worked with a variety of startups in various accounting positions. Don't forget the first official SYSCOIN meet up in Vancouver is April 19! Blockchain Foundry Inc is a #blockchain #development company with #experience and #history that goes back to 2013! Learn more from the founders of the @syscoin #sys platform! #Blockchain Foundry (@BlockFoundry) continues its expansion! 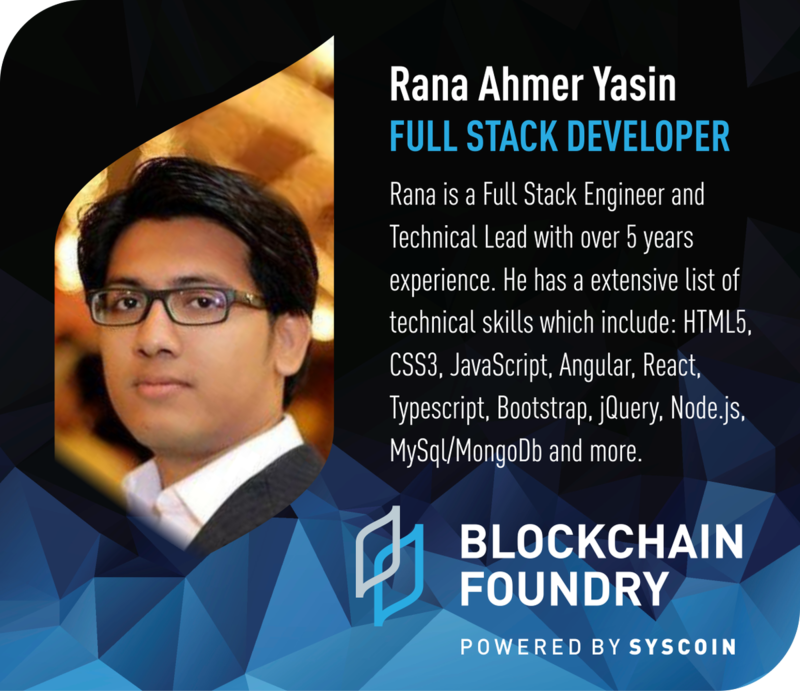 #Syscoin is happy to introduce one of Blockchain Foundry's (@BlockFoundry) newest team members. 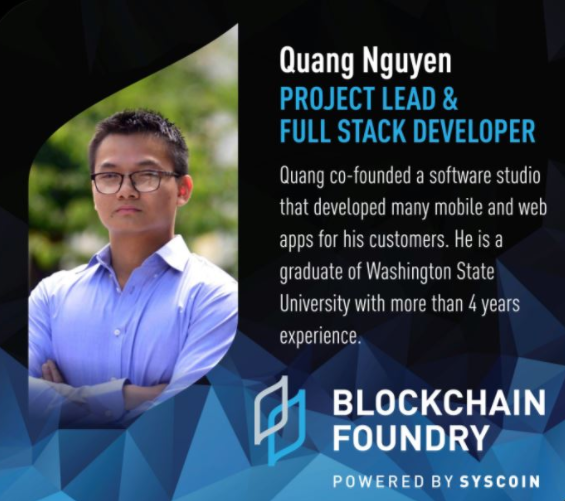 Here's a short bio of Project Lead: Quang Nguyen. the launch of #Syscoin 3.0 affect the #blockchain app industry?